If you consistently wake up with jaw pain, you’ll want to ask our Holland emergency dentist to examine your temporomandibular joint (TMJ). The TMJ is a hinge connecting your lower jaw to your skull. However, this hinge can weaken when you clench or grind your teeth at night. Our dentist will be able to determine if a TMJ disorder is causing jaw pain. TMJ treatment can noticeably alleviate jaw and tooth pain so you can get a better night’s sleep! If you recognize any of the above TMJ symptoms, schedule an appointment with our emergency dentist as soon as possible. During your appointment, we’ll ask you about your symptoms and physically examine your jaw. For example, we’ll ask you to open and close your jaw so we can listen for clicking sounds. TMJ treatment can noticeably alleviate jaw and tooth pain so you can get a better night’s sleep. Depending on the cause of TMJ disorder, we may recommend a custom night guard, pain relievers, muscle relaxants, orthodontic treatment, or even dental surgery. However, TMJ surgery is recommended only as a last resort. 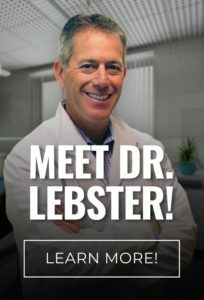 Dr. Lebster DDS provides emergency dental care to his community to help patients find TMJ pain relief. To schedule your appointment with our Holland TMJ dentist, call RediDental Emergency Dental Care at (616) 796-3200.